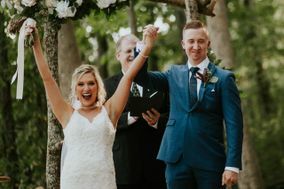 Photographs are one of the most important things about a wedding, and you want to make sure you choose someone who captures your day beautifully, with all the details! Victoria is the absolute BEST at this! Honestly, my husband doesn't enjoy being photographed, but with Victoria neither of us really knew she was there. The way she photographs is so unique so every time you reflect on your pictures it is almost as if you are reliving the moment! I cannot say enough good things about her work! She has such a sweet personality and just makes you feel so comfortable behind the camera. Victoria definitely exceeded our expectations, and you will not regret choosing her for your big day! Victoria was the best decision we made for our wedding!! We chose her based on my coworker's experience with her and the photos for her wedding - which were amazing. We ended up getting engagement photos as well, because even with them, this was still a better value than many others! We are SO happy we got engagement photos as well because WOW! We were obsessed and unbelievably impressed with not only the final product, but also Victoria's professionalism, flexibility, and generally warmth/kindness. After our engagement session, we were confident we had made the right choice. Even with our prior experience, we were still blown away by the final product from our wedding. The photos we received are a gift we will forever cherish! Victoria was the best decision we made about our wedding. She was SO accommodating, and made us feel like the most important people in the world. She is seriously talented and so kind!! We got 10 hours of photography, plus a bridal shoot before the wedding. She had to work in some SERIOUS southern heat, had the best personality, and was so much fun to work with. She took every word I had into consideration and the pictures she took are so personal and aesthetically BEAUTIFUL. Every picture she takes turns to gold. I can't say enough great things about her. Our wedding photography is so beautiful and something I will cherish forever. 100% would recommend to anyone needing a wedding photographer. I first met Victoria at a friends wedding. I knew that I would be getting engaged soon and also knew that I loved Victoria’s photos after seeing my friends engagement session. I got Victoria’s business card at my friends wedding and she was the first vendor that I booked once I started planning my own wedding. She is so easy to work with, sweet as can be, and always willing to answer any of my questions. Victoria actually met me at my venue prior to my big day so that she could have an idea of good locations for photos. 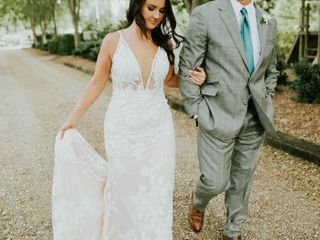 That really stood out to me as a quality of someone who truly wants to provide her customers with her best work and capture their special day exactly how they have envisioned. 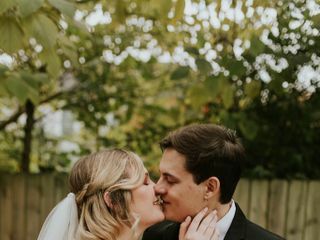 I have received so many compliments on how well our wedding photos turned out and I would highly recommend using Victoria for any of your special occasions. Loved working with this photographer and felt completely taken care of the day of the wedding. The way she has her website set made everything so straight forward and easy to navigate. 100% recommended! Victoria is a gem ya'll! My husband and I searched high and low in the area for someone with a unique and rich taste for photography. We both have really fun and corky personalities, and we were looking for someone who could play off of that. Victoria was the perfect match. She made my husband and I feel so comfortable in front of the camera, and neither one of us tend to be big picture takers. The thing I adore most about Victoria's work is how each couple is a new story to her, and she perfectly depicts each couple for who they are, the love they share, and the uniqueness of "them". She is always smiling, and keeps calm no matter what the situation. If your looking for someone to capture your day in all of its fullness, please choose this young lady as your vendor! What can I say. I do not consider myself a photogenic person but WOW we love all of the pictures she took. 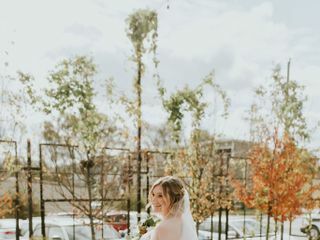 She captured all the important parts of the wedding perfectly and even caught some moments I missed myself. She took pictures that PERFECTLY encapsulate everything that we wanted to remember about our wedding. My review does not do her justice. She is absolutely fabulous and I would not hesitate to recommend her to anyone. Victoria is kind, extremely talented, and fun to be around. 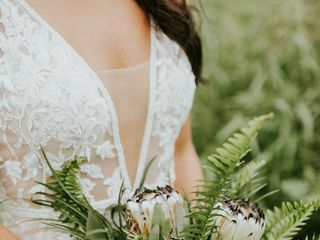 Look no further than Through Victoria's Lens for a world class photographer that brings a light of originality and warmth to your most special day. I can't wait to see my wedding photos! Don't let her age fool you! She may be young but she is FULL of so much talent. This girl creates absolute magic! She traveled for our engagement session and waded through knee deep water to get the best shots. 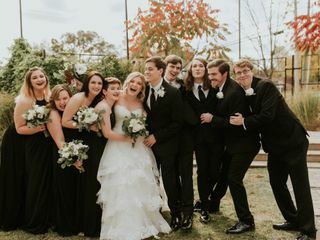 Our wedding day was a scorcher and our wedding party was large and rambunctious. She didn't break a sweat and never lost her cool. She managed everyone and got the most amazing shots. She worked seamlessly with our videographer and everyone else involved. The pictures and moments she captured are absolutely perfect in every way. I took a chance on a sweet, curly headed, 19 year old and it was one of the best decisions I made for our wedding. These photos are seriously the wedding photos of my DREAMS. I didn't think it was possible for all of them to come out looking so perfect. I am forever thankful and grateful for the moments she captured. You will absolutely not regret hiring Victoria. I have ZERO complaints. This girl is going places. Victoria was beyond perfect! She was sweet, kind, and so extremely patient throughout the whole wedding and after-wedding process! My husband and I could not be more grateful for her gorgeous pictures and the kindness she showed us and our guests! Victoria was excellent to work with. She was able to answer all our questions during the meeting we set up prior to our wedding day. Our package included all locations for our day of so we got pictures at all the venues which was nice. Our pictures turned out perfect, even though it was a rainy day she made the lighting and everything work to our advantage. I would definitely recommend her and would hire her again for professional photography services. Victoria was honestly perfect. She was sweet, helpful, and responsive. She captured precious candid moments as well as beautiful staged photos. Her services are super affordable, and the quality is stunning! The turn around between our wedding day and receiving the pictures was quick as well. My husband and I love every single picture and couldn't be happier with Victoria's work. Do yourself a favor and book her! Victoria is amazing! She worked so well with our large wedding party (18 total) and we are thrilled with her photos from getting ready to the reception. I definitely recommend choosing her to capture your wedding. My husband and I had the great pleasure of being the first wedding Victoria had ever done. With that in mind, everyone who has seen our wedding album is shocked to hear that she hadn't done a wedding before ours since the pictures are so stunning! Her work has a a unique point of view and shows a sophistication that speaks beyond her years (I believe she was only 17 when she shot our wedding!). She was very professional, showed up early, and was very flexible to work with. It was a joy to have her around; she fit right in with everyone. The turn around on getting our photos after the big day was impressive! They were edited beautifully and our complementary album (not sure if she still does this, but I hope so!) was gorgeous! If you're looking for a fun, professional photographer who will give you an incredible photo story to remember your wedding day by, I highly highly recommend Through Victoria's Lense! I wish I could fully express how amazing Victoria really is. To be honest with you, I've never written a review for anyone anywhere, so this just tells you how awesome she is! (And bear with me ;) We almost lost our minds with all of the planning for my sister's wedding and I had the privilege of searching for her photographer. It was exciting at first, but then it became a huge headache. Can you relate? You see, I am in love with photography myself so I had a pretty high bar for our photographer to reach ;) I literally searched everywhere but there was something that was missing. Most photographers have the best equipment but very few have the personality that Victoria alone has. (I really can't explain it, you'll have to book a session with her to see what I mean :D) Finally, someone mentioned her to us and truly she was an answer to prayer. From the moment we spoke, we knew she was the one! She drove up nine hours the day before the wedding and was so flexible with our crazy day ;) She so beautifully captured every little moment, even the ones we never saw! Our favorite time though was when we took the formals of the bride and groom and their wedding party. She was super fun and made us feel relaxed. 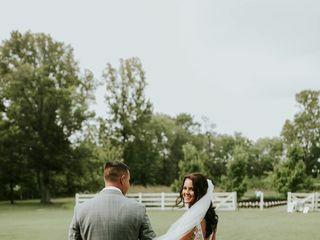 From jumping on a giant trampoline to the groom twirling her bride, it was totally one of the best days of our lives! It was as if we had been friends since forever! When we got the photo gallery, we just oohed and ahhed the whole way through. We couldn't believe the shots...they were a-ma-zing! They touched our Daddy the most (he was very close to my sister). When he viewed the gallery it was as if he was holding his little girl in his arms again. The photos are timeless and they are the greatest gift we could ever ask for. Victoria was truly the best decision we made October 29th 2016! We are so glad we chose Victoria for our photographer!! She seems young but don't let that fool you--she knows her stuff! 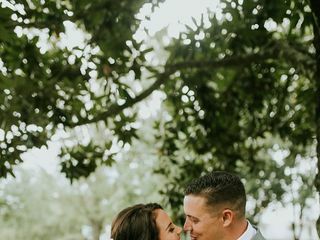 She and her second photographer captured all the big moments beautifully and took the time to get the little moments in between. My husband and I have hardly been able to stop staring at our pictures since we got them back! They didn't take too long to be returned to us and the quality of them was excellent. The price was reasonable and Victoria is very friendly so that made all of this that much better! !